Online psychology, trick or treat? 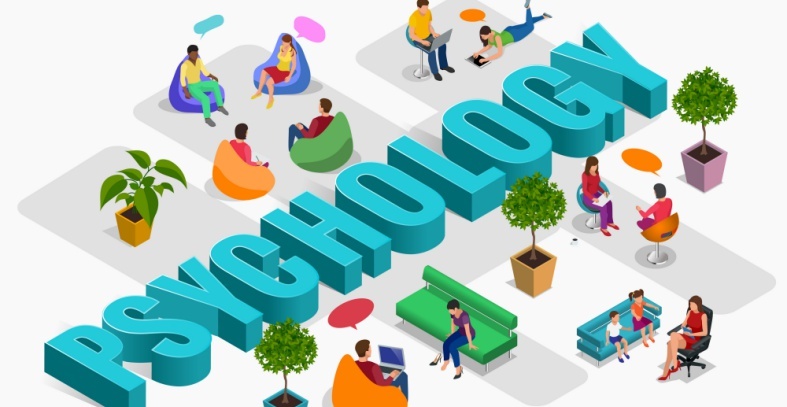 The use of psychology is steadily increasing within the online marketing sector but is usually applied as a quick party trick rather than as a fundamental building block implemented in the first stages of web design and following through to website updates. Sporadically applying psychological tricks without prior research rarely allows one to find out more about website users and may even cause optimisation to come to a complete standstill. By knowing how to use psychology within online marketing as a basic but primary tool, one can turn a cheap trick into a sweet treat. Human behaviour has been the subject of discussion for centuries and remains a popular choice of career for high school graduates. Although the medical world boasts a plethora of clinical psychologists, very little attention is paid to human behaviour within the online world, specifically marketing. This is a shame, as the internet plays an increasingly prominent role in daily life, with research showing the average user spending six hours online every day. This makes your website the ideal place in which to implement user psychology. Psychology should be seen as one of the most important pillars for validation, certainly when in combination with data and UX design. Psychology not only ensures that statistics are translated into comprehendible behaviour patterns, but also creates a clear design direction through the formulation of psychological hypotheses. Because decision-making processes can differ per page, segment or audience, it is important to apply psychology in the correct way. This makes its combination with UX design crucial. Understanding behaviour is one aspect, but creating a design that can validate whether particular user behaviours can be foreseen through the use of psychology is another. It is the task of a designer to convert the psychologist’s point of view into a visual design that can be tested in every aspect of UX. Multiple minor adjustments that fail to comply with this point of view mean that results are difficult to categorise or measure, while too few adjustments may fail to bring about behavioural changes at all. When applying UX design in your marketing investigations, it is important to find a subtle balance. 2. System Two: Slow, conscious, logical, rational and contemplative decisions. Designing UX tests according to these systems is an important and much more specific method inherent to website and marketing design. If users need to read and digest important information, a page should be kept sober. This allows the user to read slowly through the page without distraction. By adding emotional triggers users can be steered without their losing conscious energy. However, when these systems are used incorrectly in website design tests, a user may end up in the wrong system, making that particular experiment invalid. One must therefore set up a testing process that specifically checks one – and only one – of the two systems, as the thought processes that drive one are the opposite of those that motivate the other. System One requires cues from the environment and others, affecting emotions and reactions on a subconscious level. An example may be the association of the colour green with environmental concerns, or the use of a fun font to bring across a fun event. Website design needs to nurture System One processes, because translating such messages requires very little effort on the part of the user and causes rapid decisions in an online world where immediate decision-making is key. However, it is dangerous to oversimplify this subject, as no-one comes to exactly the same conclusion; System One thoughts depend on personal cognitive bias. While some users adore the colour pink, others may find it a complete turn off. Most users will not appreciate Comic Sans on a landing page; others don’t even notice this rather unprofessional-looking font. When testing website effectivity on user types, multiple but simple System One variables must be applied to test visual attractiveness, associations, and navigational ease. Personal taste is gut instinct, and must not be confused with System Two thought processes. Cognitive bias may also turn into cognitive mistakes. If your logo is red and yellow and features a large letter M, your users may think your company is a fast food restaurant and not a lumberyard. The choice is either to change the logo to one that incorporates the subject matter (probably the better move to avoid legal problems), or to add text directly beside the logo to point out that the company deals in wood. The first option can be tested as a System One solution; the latter option requires a more complicated thought-process and extra energy – a System Two process. Keeping your user on your page is a System Two process. While System One requires minimal information and targeted UX and has the most impact on landing pages, System Two decision-making processes extend to necessity of purchase, product quality and pricing. This process is also a more luxurious route for the user, where the information or products on offer should create a thought process that leads to a sale, sign-up or thumbs up. Testing this system is more complicated as the routes taken by the user are more convoluted, meaning they must be broken down into smaller units, at the same time remaining part of System Two. While the user experience depends on both systems, testing must remain limited to a single system. An example of System Two UX testing might be a measure of distractions, timings, or the number of choices or options. As with System One, System Two is affected by cognitive bias, but in this case one has the option to include pertinent information to sway a decision. Instead of telling the user your company has competitive prices (which no doubt every user has heard time and time again), testing this promise against high mark-down percentages will probably end in the latter being more likely to generate sales. The required result – a purchase – is a System Two decision which requires contemplation, but the negative association of the term ‘competitive prices’ may be more instinctive. One therefore turns a possible System One rejection into a possible System Two acceptance through a simple change in phrase. 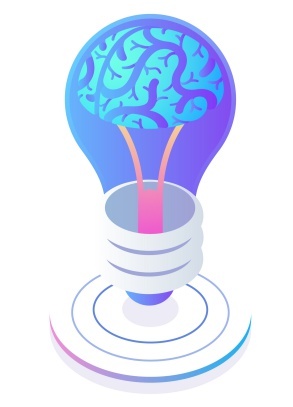 Psychology, when used correctly, is a major contributor to successful online marketing and testing. When setting up UX experiments, psychology provides both a design foundation and a design direction with more specific and positive UX as a result. Separate testing according to the two Kahneman systems contributes greatly to the validity of any design experiment. Together, collected data, UX and psychology form a golden triangle fundamental to website optimisation.